Candy Mayes passed away September 6, 2018 at her home in Corpus Christi following a brief illness. A valentine baby, Candy was born February 14, 1928 in Amarillo, TX to Thomas P. Cook Sr. and Lela James Cook. At the age of 3 she moved to Corpus Christi with her family. Candy graduated Corpus Christi High School and then met the love of her life, Lester Rosamond Mayes. They were married July 22, 1946. Candy was an excellent seamstress and consummate homemaker. She was a member of the Outlook Study Club and an avid bridge player. In October 1957 Candy joined First Baptist Church and spent over a decade teaching second grade Sunday School. 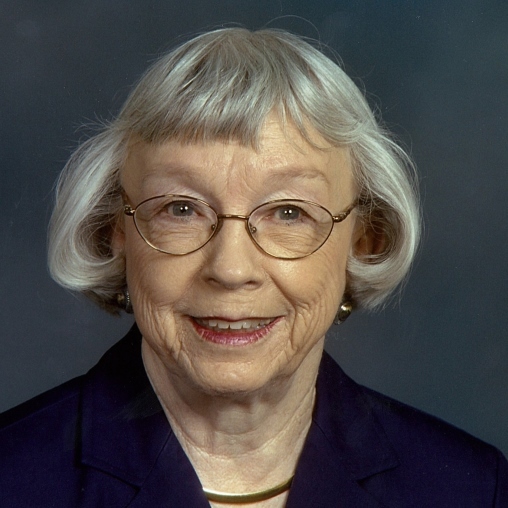 In her later years she volunteered at the Church Recreation Center and enjoyed her adult Sunday School Class where she made many close friends. Candy was preceded in death by her husband, Lester R. Mayes, her sister Doris (Rusty) Meshier, and a brother, Thomas Cook Jr. She is survived by her daughter, Karen Pennington and son-in-law Tod Pennington of Plano, TX and her son, Brad Mayes and daughter-in-law Dee Dee Mayes of Houston, TX. She is survived by four grandchildren, Jordan and Greg Pennington and Chase and Mallory Mayes. She is also survived by her bother, Zale E. Cook. A Celebration of Life Service is scheduled for noon Saturday September 22, 2018 at First Baptist Church Corpus Christi. Reception to follow. In lieu of flowers the family requests to please consider a donation to STCH Ministries (formerly South Texas Childrens Home).